INDIA. Delhi. 2009. Outside the slum settlement of Nehru camp. 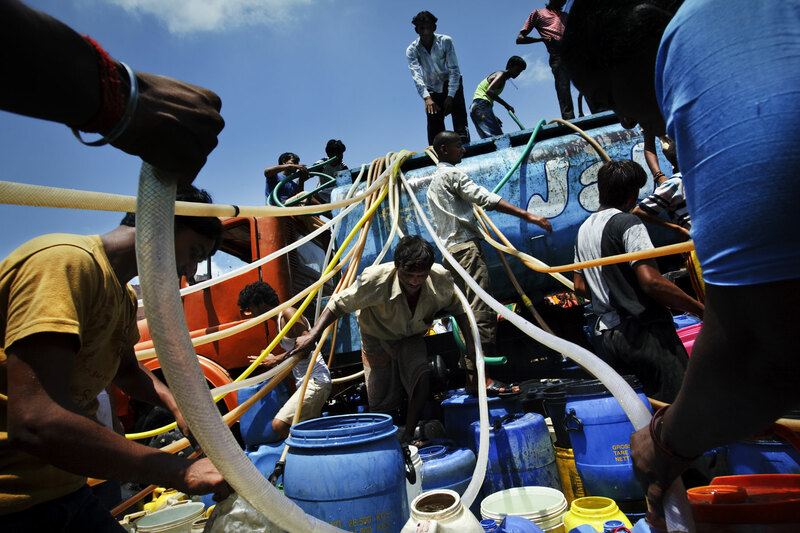 In the dry heat of pre-monsoon Delhi, people get into a frenzy when the daily fresh water delivery arrives, rushing to siphon off precious water.